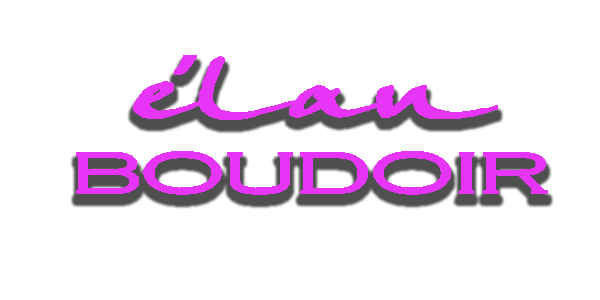 Thank you for your interest in élan Boudoir. Our work is our passion, and it shows in every aspect of the élan Boudoir experience. Clients relish the personal attention we give to them. You will want to schedule your Boudoir session about a month before your occasion so you will have your prints or album ready to give to him for your special event. We can rush orders if need be. Our Weekday Boudoir Special is $295 this covers: (Monday's – Fridays) We normally start hair and makeup around 10AM with the session following. Our latest appointment time is 3PM. We do offer sessions on weekends, our weekend boudoir sessions are $350. Want to do your session with a friend? Book together and save $25 off each boudoir special if you come in together. Our goal is to bring out your true personality and make you feel as comfortable as possible, while we capture your intimate portraits. You can feel relaxed knowing that your sensual portraits will be photographed by a female and all portraits will be kept private. Once you book your session, we will send you a list of helpful tips to prepare for your boudoir session & what you should bring with you to your appointment. We do require $100 non-refundable deposit to reserve your appointment with the artists, you can then pay the balance however you wish on the day of your session. We do require at least a 72 hour notice if you need to reschedule your appointment for any reason. You do provide you own outfits. We will go over your wardrobe before your session and coordinate the session towards what you bring with you. We do recommend you bring more than just a few outfits so we have a variety to choose from. We can also recommend some shops in San Antonio where you can get some great deals. About a week after your session we will have all your images ready for you to come to the studio for your ordering session. At that time it is up to you what products you'd like to use your print credit towards. You can apply it towards any sized prints, book or other products. We do offer our military a 10% discount off your Print Order as a thank you for your service to our country! We do touch up all images that you order. We will remove any blemishes, scars, stretch marks or anything else you would like us to enhance to make you feel your best! Please feel free to call or email us if you have any further questions or if you would like to schedule your session.